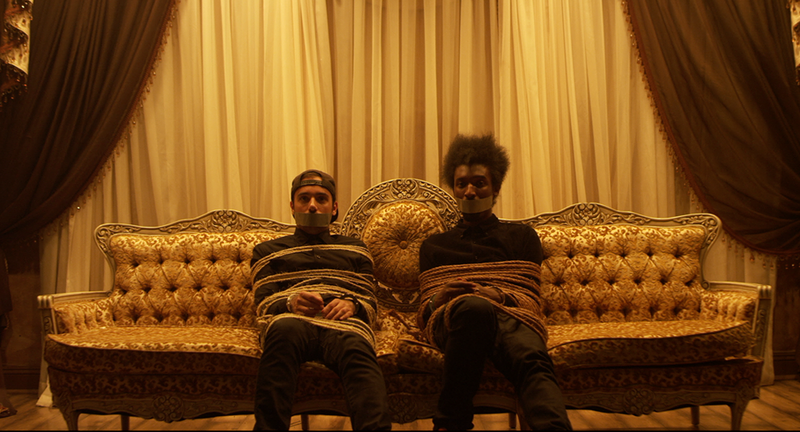 The Knocks are a noisey electronic music duo consisting of Ben ‘B-Roc’ Ruttner and James ‘JPatt’ Patterson. The guys chose the name after neighbours were forced to knock on their door and complain to them for making much noise. The remix gurus have now teamed up with with Wes Miles of Ra Ra Riot to create a smooth modern track with a classic 90s vibe. It’s completely fitting that the track has been taken from their new EP, ‘Comfortable’, which is released today via Neon Gold Records. To celebrate the EP release and also reaching 50,000 fans on Facebook, the guys are playing a DJ set a Le Pousson Rouge this Thursday. If you are in the area, it’s definitely worth going and offering up your residence for an afterparty! And for old time’s sake, check out the video for ‘Modern Hearts’ (featuring St. Lucia) which is also on our June playlist. Talking of St. Lucia…like The Knocks remix of ‘Elevate’ on Hype Machine and get a free download of the track.